That tiny camera icon in the top left corner links to this page which will contain a regular feature image, one which I've taken recently and think looks good. Take a look at the Black and White section for the black and white feature image. 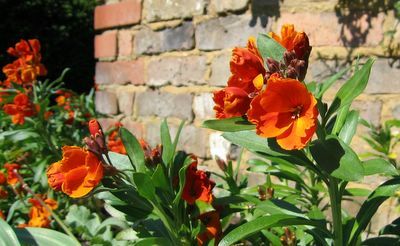 Wall flowers against a wall!